Upstream planning for school-university engagement with research requires careful, structured thinking involving teachers, researchers and (where relevant and possible) students, supported by effective downstream project management. And yet through the early stages of our partnership we noted a lack of suitable planning tools that work for researchers, teachers and students. 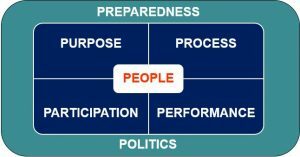 Planning for school-university engagement with research: preparedness, politics, people, purposes, processes and performance. We developed a flexible and adaptable planning tool that can be used to support the development, enactment, and evaluation of school-university activities. The framework is supported by a ‘SUPI metric@ to make explicit the level of engagement required and to support stakeholders. As an activity proforma: The activity proforma has been designed to support researchers make initial contact with schools in Milton Keynes. Feel free to adapt the proforma for use in your local context. As a blog post: Holliman, R. (2016). ‘Planning for a principled approach to engaged research.’ Digitally Agile Researcher Blog. 13 December. As a training pamphlet: Holliman, R., Davies, G., Pearson, V., Collins, T., Sheridan, S., Brown, H., Hallam, J. and Russell, M. (2016). ‘Planning for school-university engagement with research.’ Engaging Research Blog. The Open University, Milton Keynes. As a paper: Holliman, R. and Davies, G. (2015). Moving beyond the seductive siren of reach: planning for the social and economic impacts emerging from school-university engagement with research. JCOM 14(03), C06, pp. 1-10.